Cloud Climbing Beauty: Fireworks Display Days!! 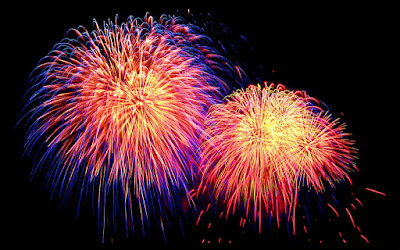 I received this notification in an email from my DSM this week: "Your Fireworks DVM, Lori Ballantine, and your District Sales Managers are challenging you to recruit at local events (or events you create) the weekend of Friday, June 12 –Sunday, June 14. We are on a mission to change lives with the Avon Earning Opportunity! We're calling this Fireworks Displays Days." Since my schedule for this weekend will not permit me time to set up a booth at an event but I still want to accept the challenge, I'm doing my Fireworks Display online. If you have any interest is learning more about making extra income with an Avon business, go here to read the details and then get in contact with me by calling 256-479-4061 or emailing me at smeeavon@hotmail.com. I'll be able to meet with people who are in my local area, but if you are not in the Madison/Limestone County area of North Alabama, you can still join my team. Look at the details at the link above and then go here to get started online. The cost is the same, the kit is the same, you'll still be added to my team of Cloud Climbers, and I'll work with you to develop a successful Avon business. So...are you ready to step out of your comfort zone and start making more money? Let's get those fireworks going!! What's on the "To Do" list for today? A lot!